Samsung’s latest flagships, the Galaxy S9 and Galaxy S9+, are the talk of the town. The devices are incremental upgrades over last year’s Samsung Galaxy S8 series, though they add many camera enhancements such as a variable aperture. 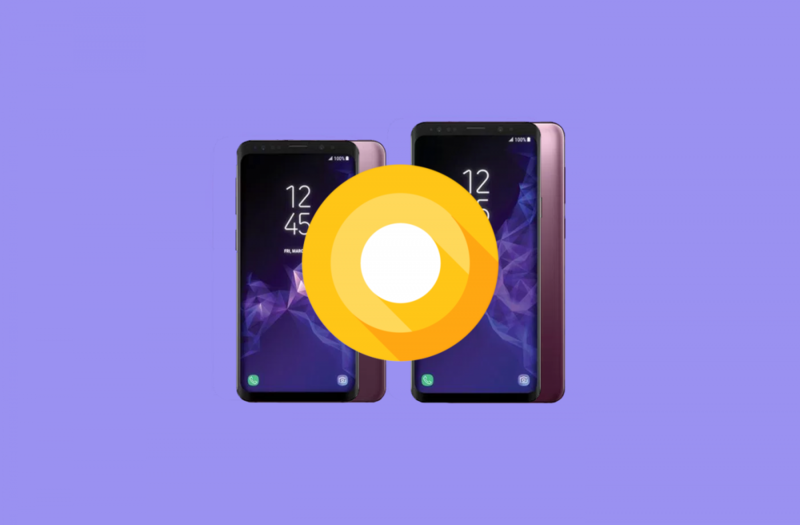 Importantly, the Samsung Galaxy S9 devices are Samsung’s first to launch with Android 8.0 Oreo on board, meaning they are Project Treble compatible. That means these devices should have a much easier time compared to previous Samsung flagships in getting AOSP Android Oreo up and running—and indeed that seems to be the case. A tester was able to successfully get a Project Treble Generic System Image (GSI) booted on his Exynos Galaxy S9, and we hope that this will pave the way for future development on the devices. In the screenshots above, our tester, XDA Senior Member iamnotkurtcobain, was able to boot up AOSP Android 8.0 on his Exynos Galaxy S9 device thanks to help from XDA Recognized Developer minz1. The ROM he is running is XDA Senior Member phhusson‘s phh-Treble ROM. According to his brief testing, functionality such as Wi-Fi, Bluetooth, NFC, fingerprint scanner, camera, mobile data, and more all work. In contrast to the only AOSP ROM available for the Samsung Galaxy S8, this is already a massive improvement. Currently, the Android 8.1 Oreo ROM didn’t boot on the device, so the tester had to use the latest 8.0 system image (which is why the security patch version seems so old.) The developers in our Telegram group are working on fixing that issue soon, however given that there is only one tester at the moment, it’s a bit difficult to coordinate bug-fixing. Once AOSP Android 8.1 Oreo works, however, it will be possible to test the LineageOS 15.1 or CarbonROM builds on the Galaxy S9. Unfortunately, certain hardware functionality such as the iris scanner won’t work because it isn’t supported by AOSP (though it may be in a future release). Keep in mind that this only works on the Exynos Samsung Galaxy S9 because flashing a Project Treble GSI requires an unlocked bootloader, which isn’t possible on the Snapdragon models. Furthermore, Samsung’s bootloader doesn’t support the fastboot protocol, so you’ll have to find an alternative way to flash the ROM. The current TWRP builds don’t seem to work for this initiative, so we had to run our tester through flashing the image directly to his system partition via root access—in other words, the process is currently a major pain. Regardless, we’re excited to see where this goes. Snapdragon devices have always been superior to Exynos devices in terms of custom development, but thanks to Project Treble, the hardest part of porting an AOSP ROM—getting it booting with most basic hardware functionality working—is simplified. With kernel source availability, the rest of the issues can be fixed as well. We’ll keep you updated on any future developments regarding AOSP on the Exynos Samsung Galaxy S9 and Galaxy S9+.